Loring Park at 1382 Willow Street is named for Charles Loring, the “Father of the Minneapolis Park System.” Loring hired Frederick Law Olmsted to bring a world-class park system to rapidly growing Minneapolis in 1883 and the first 30 acres of this park were purchased. A series of bike and walking paths wind around a lake and gardens; across the Whitney Bridge is the Minneapolis Sculpture Garden. For a more extended hike with your dog try Fort Snelling State Park, 10 minutes to the southeast of Minneapolis. The Dakota Indians considered this spot at the confluence of the Minnesota and Mississippi rivers the center of the world; European visitors recognized its strategic importance for trade and defense. On September 21, 1805 Zebulon Pike picked up 100,000 acres for $200 of trinkets, a keg of whiskey and the promise of a trading post. Colonel Josiah Snelling shaped the post into a military fort when he arrived in 1820 and so it operated as such through World War II. Fort Snelling was spared destruction when it was named as the first National Historic Landmark in Minnesota in 1960 and the park – now the state’s most visited – opened two years later to conserve open space in the heart of the Twin Cities. Fort Snelling State Park is packed with canine hiking opportunities – 18 miles of foot trails, 18 miles of cross-country trails and 5 miles of multi-use trails. It is a day-use park only – no camping – so you’ll need to return to do it all. This is easy, shady hiking in mature woodlands. A good place to start is the 3.2-mile hiking-only trail that circles Pike Island, site of the treaties that allowed establishment of the first European settlement in Minnesota. The 5.8-mile gravel Medota Trail offers seclusion along the Minnesota River and connects to the Minnesota Valley National Wildlife Refuge. The refuge protects more than 10,000 acres of often marshy lands with 34 more miles of trails. Dogs are permitted throughout the dog-friendly refuge. To find Fort Snelling State Park take Highway 55 south to Highway 5 and take the Post Road exit and follow the signs. Doug Gelbert is the author of over 20 books, including The Canine Hikers Bible. 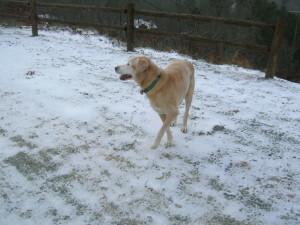 To subscribe to his FREE Newsletter on hiking with your dog and receive a copy of Rules for Dogs in 100 of the Most Popular National Park Service Lands, visit http://www.hikewithyourdog.com In the warmer months he leads canine hikes for hikewithyourdog.com tours, guiding packs of dogs and humans on hiking adventures. Tours, ranging from one-day trips to multi-day explorations, visit parks, historical sites and beaches.